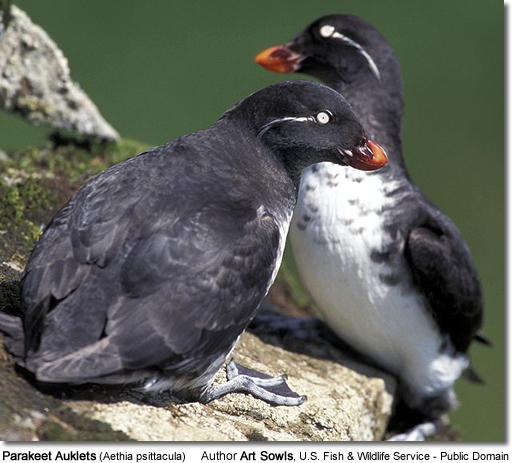 The genus Aethia consists of four small (85-300g) auklets that are endemic to the North Pacific Ocean, Bering Sea and Sea of Okhotsk and among some of North America's most abundant seabirds. They are endemic to the North Pacific Ocean and Sea of Okhostk with notable Asian colonies in the Kuril Islands, Commander Islands, along the Kamchatka and Chukota Peninsulas. In North America, large colonies are in the Aleutian Islands (Buldir, Kiska, Semisopochnoi and Gareloi) to the Gulf of Alaska and north to the islands of the Bering Sea (St. Lawrence Island, Pribilof Islands, St. Matthew Island). Whiskered Auklets likely winter near to breeding colonies and many were reported by Aleuts to winter in the general area. 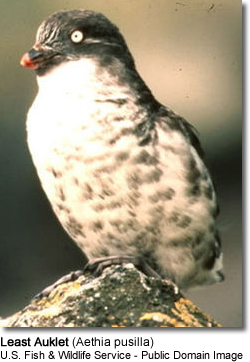 Auklets from the northern Bering Sea must move further south because of pack ice surrounding colonies during the winter. These social auklets typically nest in dense colonies - the colony sizes range from less than 100 individuals to over 1 million, although Least and Crested Auklets tend to nest in greater density than Parakeet and Whiskered Auklets. They start breeding when they are about 3 to 5 years old. They only lay one white egg in a natural crevice and incubate it for 25–36 days. The chick fledges 25–35 days after hatching. 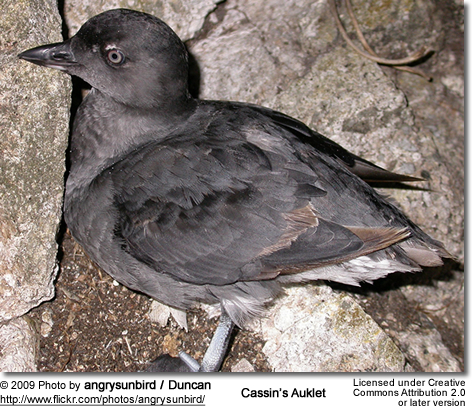 The auklets are mainly planktivores, eating a variety of calanoid copepods, euphausiids and other invertebrates such as jellyfish and ctenophores. 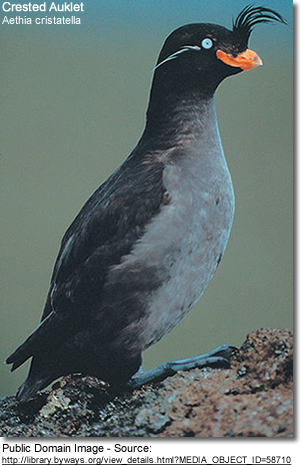 These auklets are threatened by invasive species, such as Arctic Foxes and Norway Rats.